Join us for a super fun evening of music, food and prizes! Featuring a professional jazz band as well as performances from Culver City Elementary students. All students attending will receive a prize and adults will be entered to win an iTunes gift card! Who is SJO? 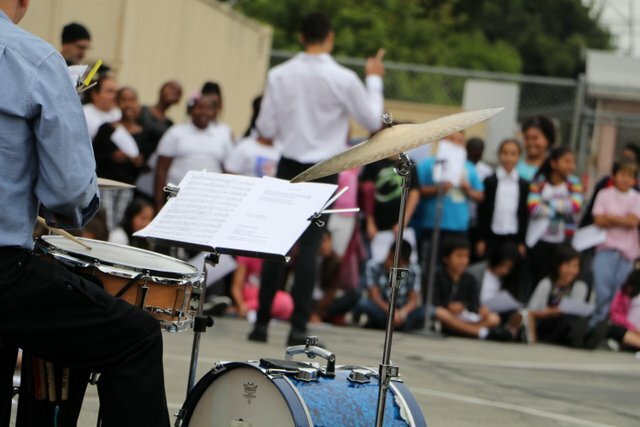 : A non-profit that teaches music to students in Culver City elementary schools each and every week! They also bring together a 67-member orchestra to play free concerts. This is all part of their mission to transform communities, schools and lives through music. Read more at www.SJOmusic.org. This performance is made possible in part by a Culver City Performing Arts Grantwith support from Sony Pictures Entertainment.